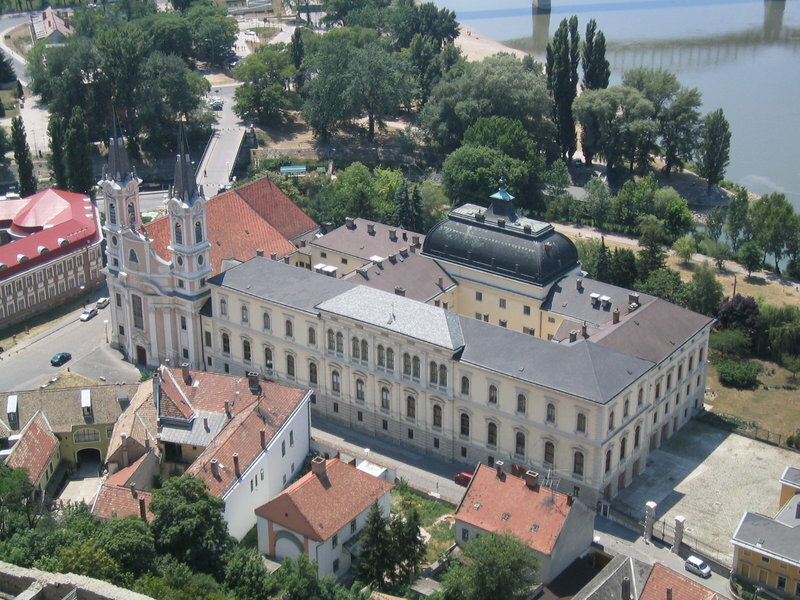 Josef (or Jozsef) Lippert von Granberg designed this neo-Renaissance style building as the residence for Esztergom's archbishops based on a request from Cardinal and Prince Primate Janos Simor. The building is located on the Danube River, right across from Bratislava, Slovaki. It was built on the former site of a Jesuit monastery (the church remains) and construction took place 1881-83. Simor bore all of the costs associated with construction, which - at over 600,000 HUF - were more than double preliminary estimates. 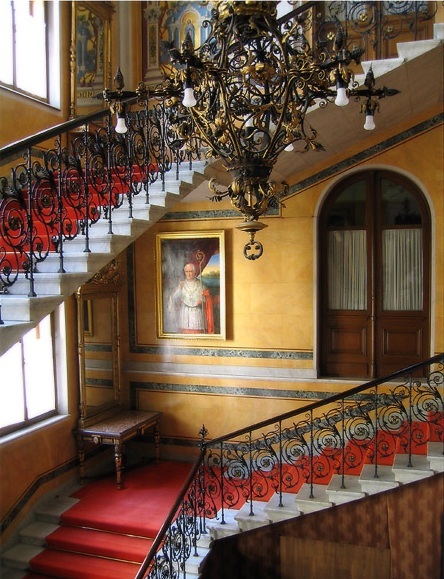 The second floor of the building now contains the Christian Museum, which was also founded by Simor. It is open to visitors, while the rest - including the Primates' Archives and the Simor Library - still belong to the church. While a complete picture of the mosaic is unavailable due to the private nature of this part of the building, a piece of it can be seen in the upper left-hand corner of this image. Barr, Sheldon. Venetian Glass Mosaics: 1860-1917. London: Antique Collectors' Club, 2008.135. Kemeny, Jozsef. "Obscure Magyar." Cosmic Construction, 56.